March gains registered against divided precious metals with LBMA prices for the month up 0.5% for gold but down 1% for silver. As for the quarter, gold advanced 1% while silver sank 3.5%. Perth Mint sales of gold coins and gold bars reached 29,883 ounces last month, registering increases of 12.9% from February and 34.4% from March 2017. First quarter or year to date sales at 93,530 ounces were 22.2% lower than the 120,234 ounces delivered during the first three months of 2017. 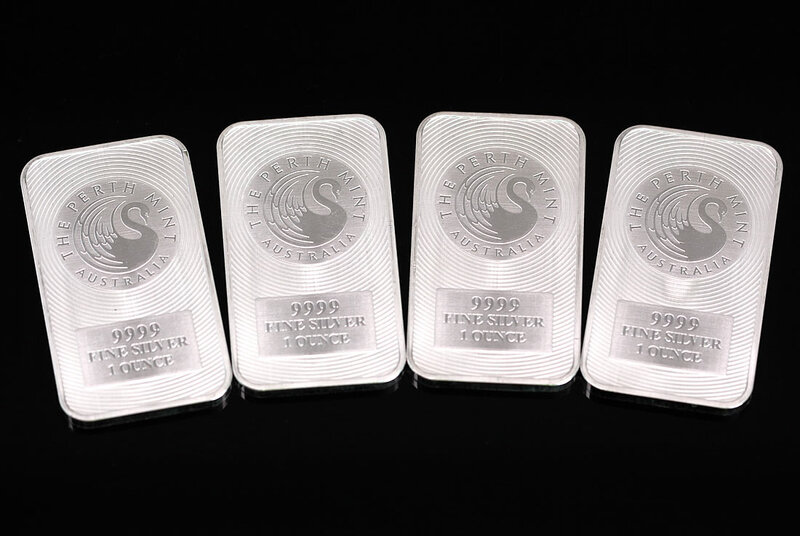 March sales of silver coins and silver bars totaled 975,921 ounces, slipping 1.7% from February but rising 36.3% from a year ago March. Silver sales accumulated to 3,036,236 ounces in the first quarter for a 24% increase over last year’s starting three-month total of 2,449,503 ounces. Below is a monthly summary of Perth Mint bullion sales from March 2017 to March 2018. The figures show monthly ounces of gold and silver shipped as minted products by The Perth Mint to wholesale and retail customers worldwide. It excludes sales of cast bars and other Group activities including sales of allocated/unallocated precious metal for storage by the Depository.